Choose the big-league look for your field! 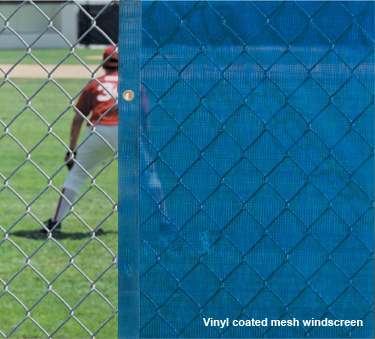 FenceMate® standard mesh windscreen attaches to any fence to provide an attractive cover for outfield fencing! Our VCP1800 solid vinyl wind screens provide 100% visual and wind blockage, giving your area extra protection. Choose the big-league look for your field! 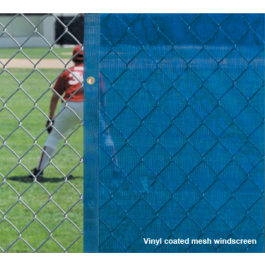 FenceMate® standard mesh windscreen attaches to any fence to provide an attractive cover for outfield fencing! Our VCP1800 solid vinyl wind screens provide 100% visual and wind blockage, giving your area extra protection. This windscreen is sold in square feet and is 5' high.